How to Transfer Photo&Camera Roll from iPhone/iPad/iPod to Computer? Download and install Tansee iPhone/iPad/iPod Photo&Camera Transfer free version here. And please install the latest version of iTunes, make sure iTunes can read your iPhone/iPad/iPod. Run Tansee iPhone/iPad/iPod Photo&Camera Transfer. Connect iPhone/iPad/iPod to your computer via a USB cable, and then all the Photo & Camera Photo & Camera Video will be displayed automatically. (If it is reading data, please wait. That might because you have lots of apps or photos, it will take longer time reading data. At most 1 hour.) Choose files you would like to copy, and click the button labeled "Copy" which can be found at the bottom of the screen. Can I Transfer Full resolution Photos to computer? 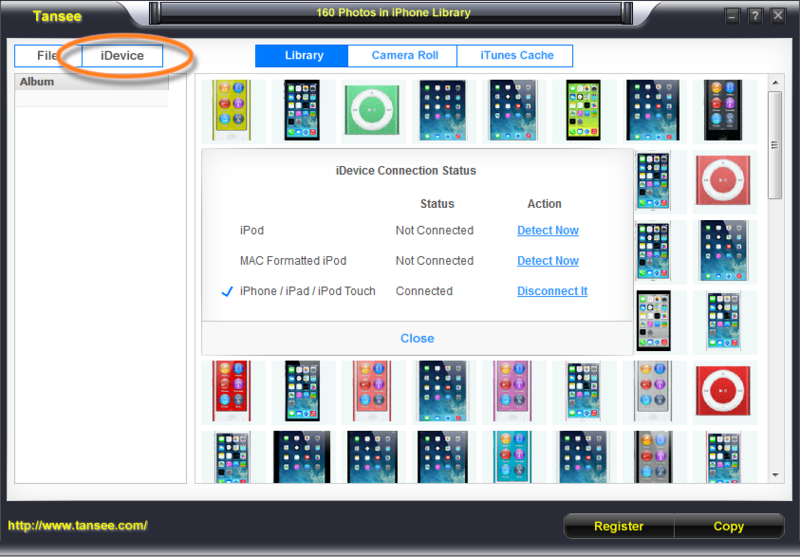 a, If you transfer Photos taken by iPhone/iPad/iPod, you can always transfer full resolution. 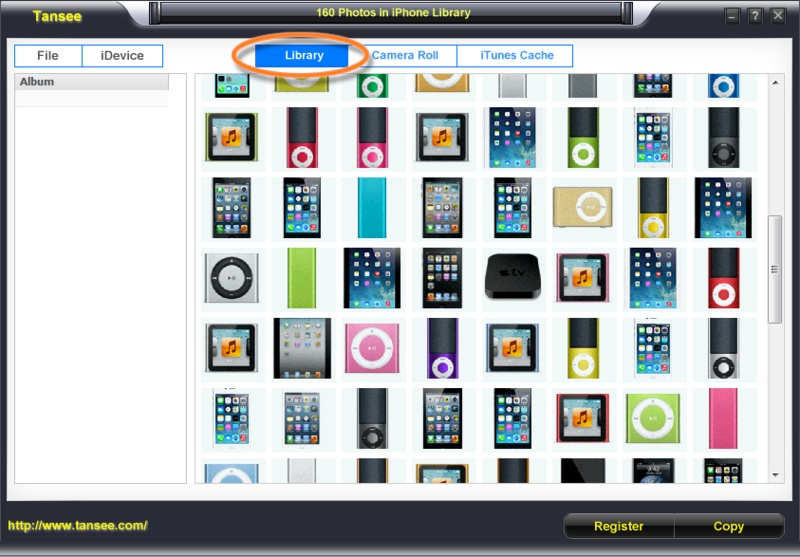 b, If you choose 'sync full resolution image' when you using iTunes to sync iPhone/iPad/iPod, you can get full resolution of synced photos.